Serena Williams's claims of sexism during her spectacular US Open final meltdown follows similar controversies at the season's three other Grand Slams. -- Melbourne Park is famous for its late finishes. In 2008, Lleyton Hewitt and Marcos Baghdatis played until after 4 o'clock in the morning. This year, however, eyebrows were raised when on seven of the first nine nights, women's matches were scheduled after the men. As a result, most were played out in front of empty stands. The New Daily outlet quoted a media expert Sam Duncan as claiming it was all due to TV ratings. "That's not to say women's tennis doesn't rate well but the big names in tennis are men, particularly without Serena Williams this year. "Seven (network TV) definitely has a big say -- they want the biggest stars playing in prime time." Sydney Morning Herald writer Alecia Simmonds wrote: "Did you notice how the SMH's Sports Pages reported on Australian Ash Barty on the day that she won her match? No? Neither did I. That's because the entire back page that day was taken up by Alex de Minaur – the latest top Aussie bloke in a white male lineage stretching from Cash to Rafter to Hewitt – who LOST." Three years ago, Canada's Eugenie Bouchard was asked "to give us a twirl" by an on-court interviewer at the tournament. 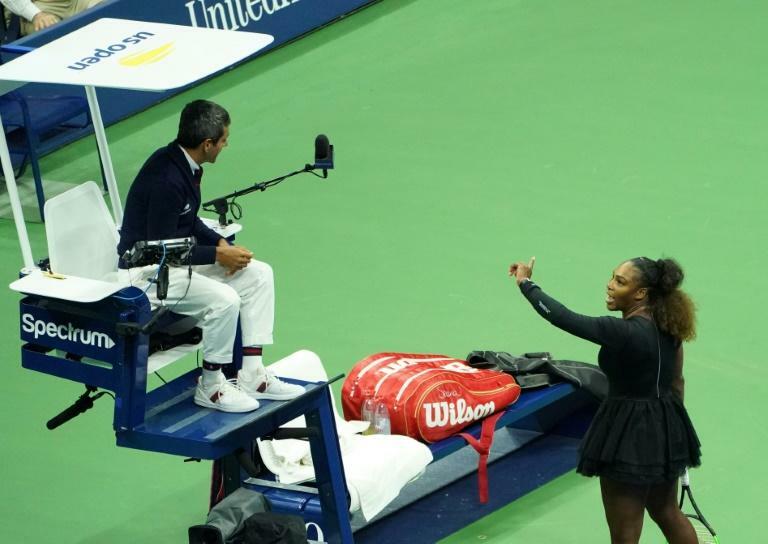 Serena Williams also twirled but admitted later that she "didn't really want to". "I wouldn't ask Rafa (Nadal) or Roger (Federer) to twirl." 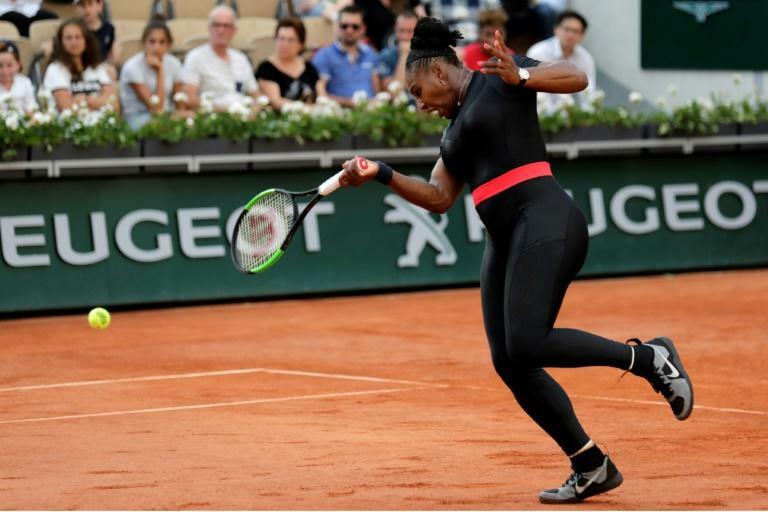 -- Serena Williams took to the court at Roland Garros wearing her 'Black Panther' catsuit which she insisted also performed a key health role for a woman who had suffered life-threatening blood clots when giving birth last year. However, weeks after the tournament ended, French Tennis Federation president Bernard Giudicelli created an uproar when he said the catsuit would be banned as it "had gone too far". Former US Open winner Andy Roddick condemned the decision, tweeting: "This is so dumb and shortsighted it hurts. Sometimes it'd be nice if the sport got out of its own way." -- US legend Chris Evert's suggestion that the women's Wimbledon final should replace the men's title match in closing the championships met with a frosty response from the All England Club. Evert, 63, who won 18 Grand Slam singles titles, including three at Wimbledon, said the women's final could close the show, saying the current set-up, with the men's final always on the last day, was "definitely not equal". Evert told The Times newspaper that the tradition of having the men's final close the championships was a throwback to a time when women were "second-class citizens". -- Before Williams's spectacular meltdown, the US Open was already battling accusations of sexism when an umpire sanctioned French player Alize Cornet for removing her shirt on court. The 28-year-old was handed a code violation for "unsportsmanlike conduct" when she took off her shirt on court after realising she had put it on back-to-front while in the locker room during a 10-minute heat break. Former world number one and two-timer major winner Victoria Azarenka said there remain serious issues over how men and women are treated on tour. "If I would say my true feelings, it would be bleeped out, because it was ridiculous. It wasn't anything disrespectful," said the Belarusian. "Things and issues like this need to stop at the beginning. You know, the things with the cat suit, I personally don't understand it. No idea what it means disrespecting the game playing in the cat suit? "There is always a double standard for men and women." Many on social media were quick to point out that just a few hours after the Cornet incident, Novak Djokovic sat courtside on Arthur Ashe Stadium with his shirt removed and with an ice towel draped around his shoulders.